This was a busy weekend for Shaken Not Stirred. Saturday night I did a wedding in Fillmore in Ventura County, and then was off to Palm Springs the next morning to bartend a bachelorette party. I travel all over Southern California to do gigs, and I put a few miles on my car this weekend. My son helped me with the wedding in Fillmore and did an incredible job. That was the second job he has helped me with and I am comfortable with him bartending or serving. I have extensive experience as a server and am not afraid to get my hands dirty. We had to clear the plates on all the tables at this wedding and help serve the cake. The wedding was set in an orange grove and it was a very nice location for it. At this particular wedding the bar was set up quite away from the tables and dance floor and everyone was congregated at the bar after dinner, while the dance floor was empty. 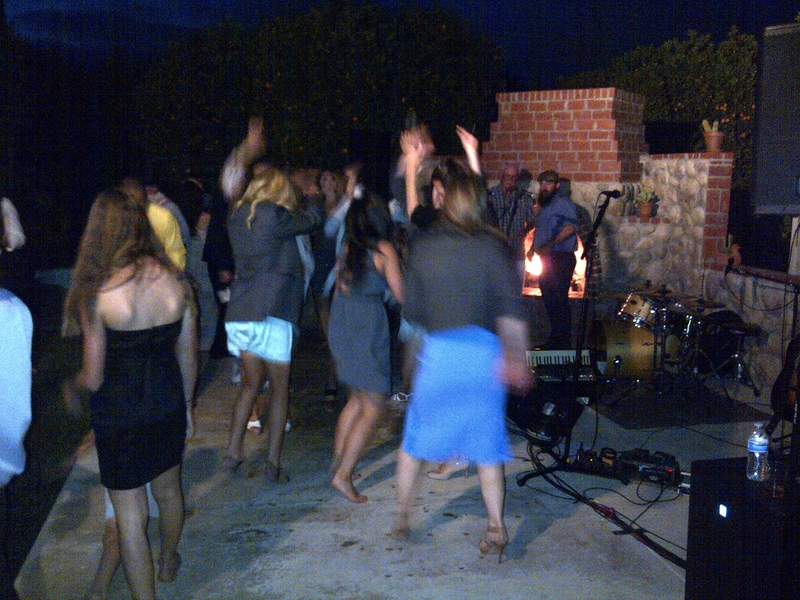 The bride asked us to move the bar closer to the dance floor and we quickly did it, kegs and all. It all worked out. They had two kegs at this wedding and the beer was popular, but I would say half of the beer was left over. I don’t recommend kegs unless it is a party over 200. They usually slow service way down – it takes about five seconds to open a bottle of beer and hand it to guest, whereas it may take a full minute to fill a draft beer, when there are twenty people in line. I drove to Palm Springs bright and early for the bachelorette party. 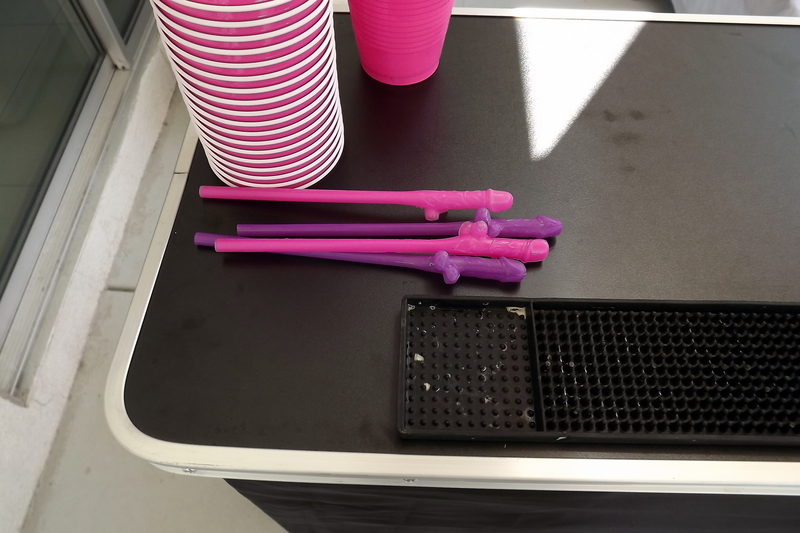 I must admit, my mind was racing, wondering exactly what goes on at a bachelorette party? Well, what it boiled down to was several close girlfriends celebrating their friend’s final month as a single person. 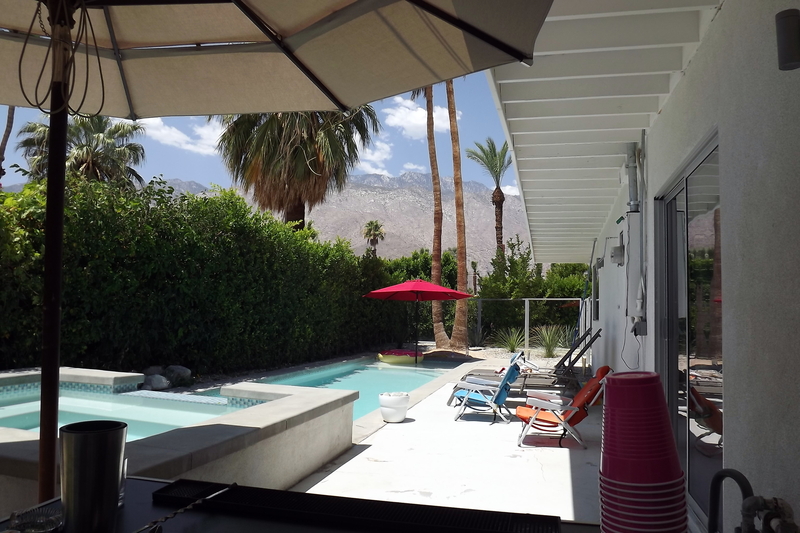 They rented a house with a pool in Palm Springs for the occasion. 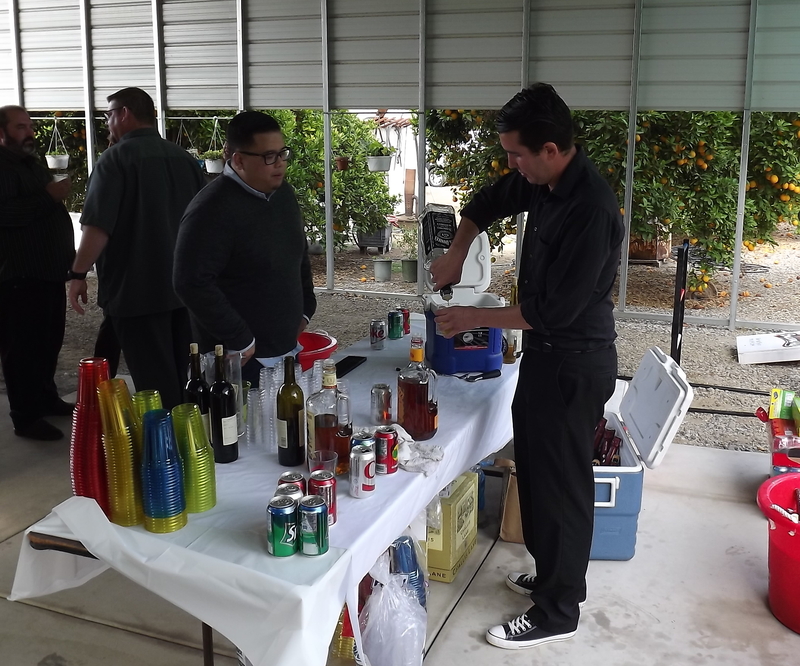 I set up my portable bar by the pool and served them Moscow Mules, and wine. It is getting hot in the desert and I have two more events already booked for later this summer in Palm Springs. Wednesday, I am playing mixologist at a cocktail party in Beverly Hills. I have a list of complex classic drinks the host wants, including a Singapore Sling. This will be a challenge, but I welcome it! Then, next weekend, we are doing an anniversary party in Santa Clarita.